The Pro-Val Stretch PF (Powder Free) is a new generation ultra soft resin vinyl examination glove. 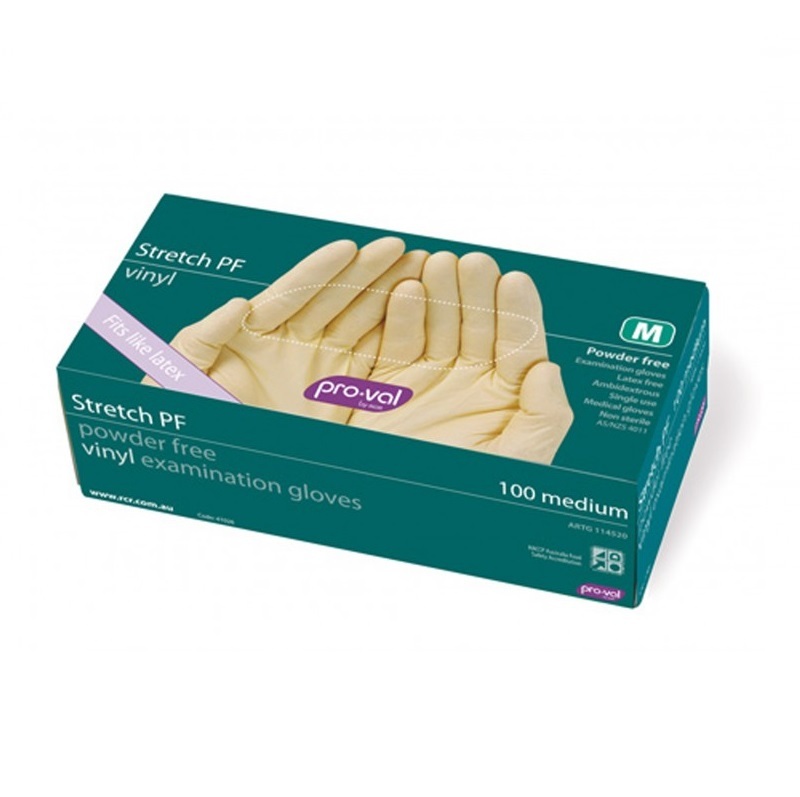 Unlike regular vinyl gloves, the Stretch PF looks and fits like latex. Latex allergy sufferers will benefit from this latex free, vinyl examination glove.